CHILDREN IN ‘CALAIS CRISIS’ ARE ARRESTED. WHERE IS AMBER RUDD?! ​Amber Rudd, the UK Home secretary, has remained silent over the accelerating crisis in Calais, France.Where the French authorities have been accused of the mistreatment of child refugees, many, whom have the right to live in the UK. On Wednesday French authorities announced the Calais ‘Jungle’ was “clear” and declared the closure a success, but charities and volunteers on the ground said more than 1,000 people remain in and around the camp, including hundreds of children who have not been through the registration process. 40% of the ‘Jungle’ was burnt down earlier in the day and the children were forced to sleep out in the open. The situation for child refugees in Calais has got alot worse today. This morning the Police started to round up any child without a wristband, arrest them and take them away in vans. Help refugees, a charity working with child refugees, said: ‘This morning children were told to go to the registration warehouse where they queued peacefully for hours this morning. 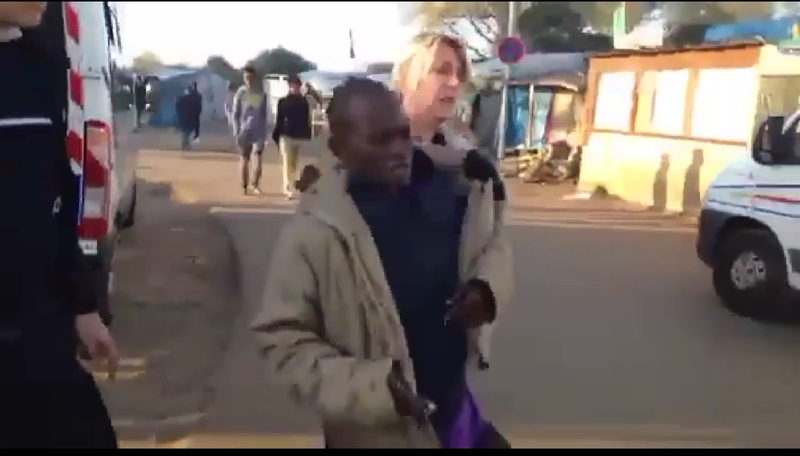 They were then told they would not yet be registered and were sent back to outside the container camp, where they are refusing to let them enter without wristbands. Amber Rudd has failed to take any action to protect children, who have the right to live in the UK. AMBER RUDD’S OWN BROTHER CONDEMNS HER SPEECH! They say a week is a long time in politics. Well the last few days have not gone well for the new Home secretary Amber Rudd. On Tuesday Ms Rudd delivered a speech to the Conservative party conference, in which she said that all businesses in the UK would have to list all ‘foreign’ staff. This was widely condemned by the business sector and by many, was compared to policies of Nazi Germany. 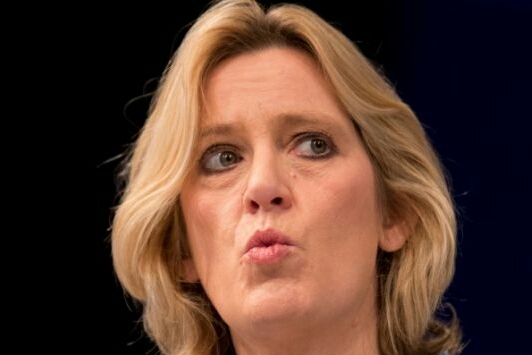 Then on Wednesday, it transpired that a key part of Amber Rudd’s speech, where she attacked a sofa factory in her own constituency of Hastings, for employing mainly foreign workers and not ‘local people’, was in fact a lie and that 75% of the companies workforce were British. Now even Amber Rudd’s own brother has spoken out against her speech. “In a democracy there is always a spectrum of views. “Those of us who want a sensible Brexit, who want Britain to remain a beacon of tolerance and who find the denigration of non-British workers appalling have a duty to speak out. Try and stand up for a multiracial Britain and you are labelled part of the liberal elite; point out the £20 billion net contribution from immigrants over a decade and you are told you are not listening to the people; oppose hate crime and you are mocked for political correctness.